Trutrack Suspension find setting up a motor vehicle for the track is the most pleasurable experience a suspension technician can have. All the care, hard work and accuracy put to the test where there is no room for error. Trutrack Suspension has been preparing vehicles for the track since its conception. With arguably the best understanding of track coil springs and sway bars in Australia, Trutrack is designed to give you control of how your vehicle behaves on the track. If your racing team is having issues with vehicle control and handling, Trutrack is designed to assist. With the best and latest technology, Trutrack can work with your team to get it right. 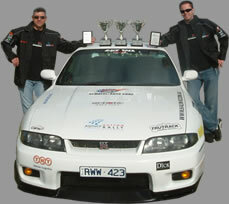 Click here to enquire about the Trutrack Suspension track support team.